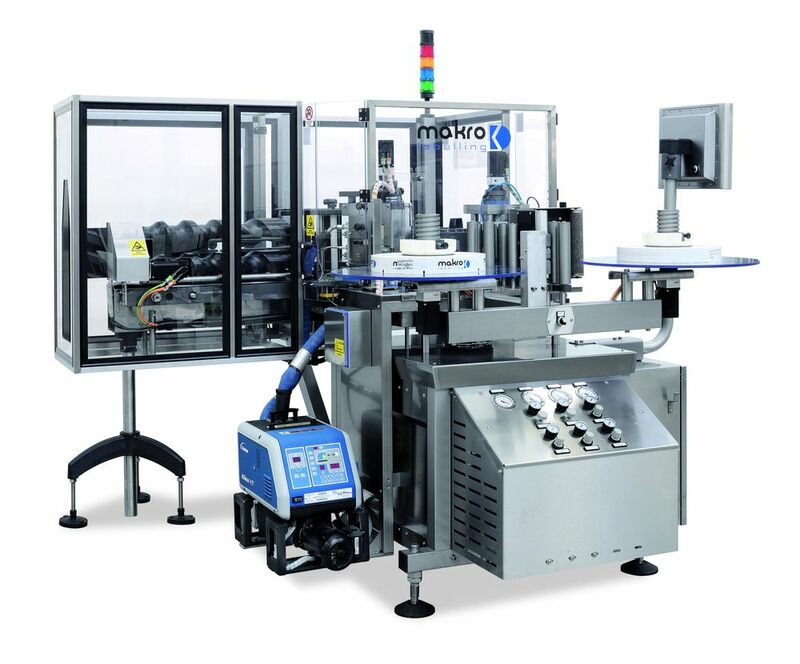 Makline Roll Feed is the series of rotary labelers that Makro Labelling dedicates to the water and soft drinks market in PET bottles of various sizes. The labeling unit, similar to that of rotary machines, is equipped with motorized axis and brushless motors. The production capacity varies from 6000 to 40,000 bottles/hither use of plastic wrap-around labels from the roll, with hot melt application, is cost effective with respect to the use of traditional pre-cut paper or OPP labels. Thanks to its modular construction, the roll fed unit can be replaced with an application unit for hot melt pre-cut labels, cold glue labels or for adhesive labels. The roll feed unit (reel holder, glue distribution roller, cutting roller and film traction roller) is operated by servomotors. The use of corrosion-resistant materials guarantees an unlimited working life. The input and output starwheels and bottle input auger are fitted with servo motors guaranteeing torque control. The stainless steel glue roller distributes the glue on the edges of the labels. The machine can also be used with large plastic containers more than 200 mm in diameter. All models can also work with empty PET bottles, with pressurisation of each cap pressing head. The plates are rotated by motorised belt for cylindrical formats and electronic cam for shaped formats.